Whew! It feels like May has passed in the blink of an eye. I suppose that's not surprising in a month punctuated by two of the world's most famous races, both of which have a special place in my heart. 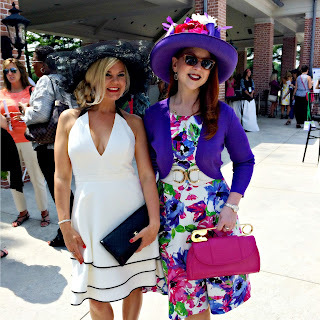 It begins with the thundering hooves of thoroughbreds at Churchill Downs, and ends with horsepower of a different sort at the Indianapolis Motor Speedway. The entire month is a celebration of speed, both on and off the respective racetracks! 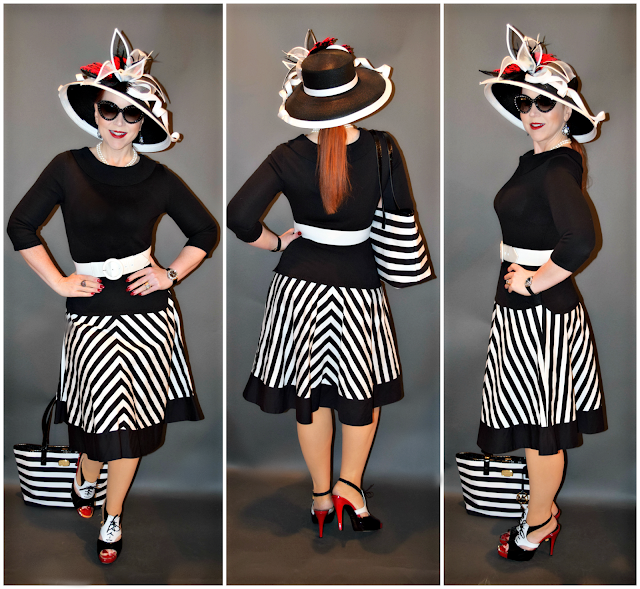 With the Kentucky Derby behind me, it seemed fitting to switch gears (pardon the pun) and move from the exuberant hats iconic to the historic horse race to the black and white color scheme of the checkered flag that signals victory at the Indy 500. 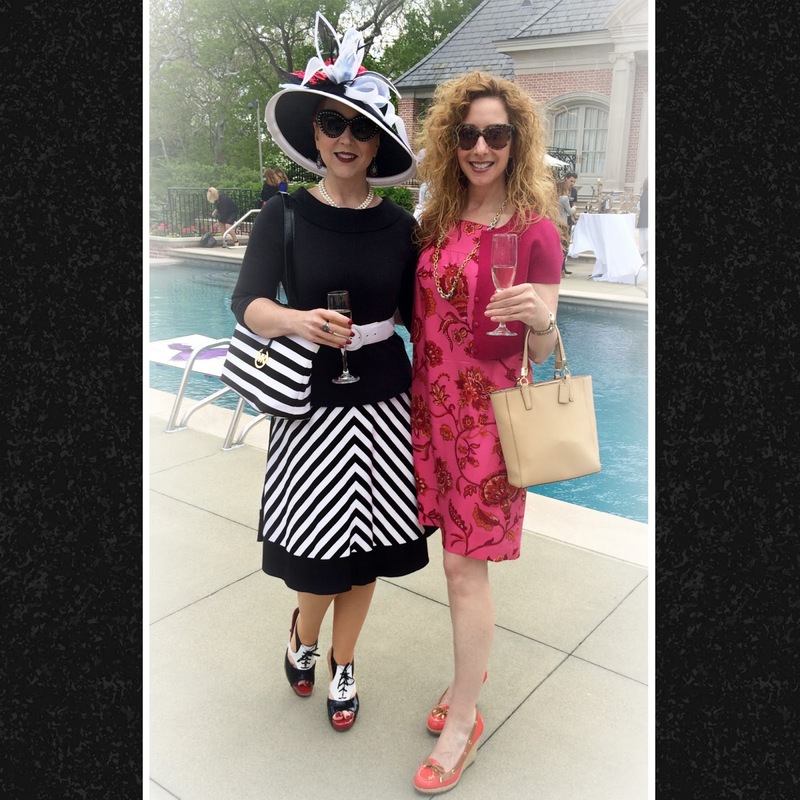 A mid-month "Wine, Women & Shoes" fundraiser for Gleaner's Food Bank at the beautiful Lucas Estate was the perfect opportunity to make a smooth transition, combining style elements representative of both my favorite races. 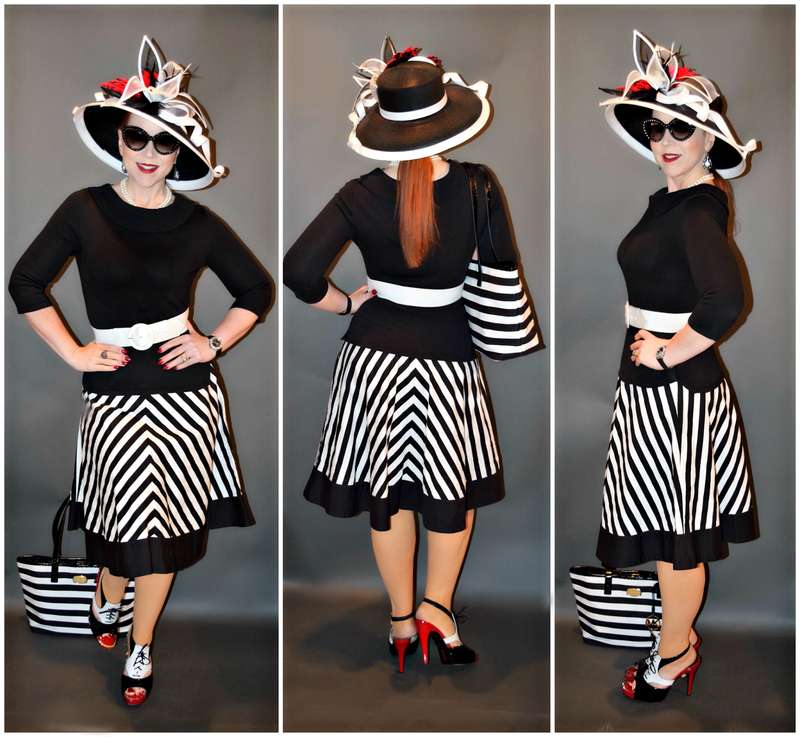 As it happens, this year Indianapolis celebrates the 100th running of the World's largest one day sporting event, which is around the same number of times I've worn this skirt in the last several years (or at least if feels that way). As for the hat, I actually wore it in my very first blog post more than three years ago, and it's been borrowed countless times by friends. 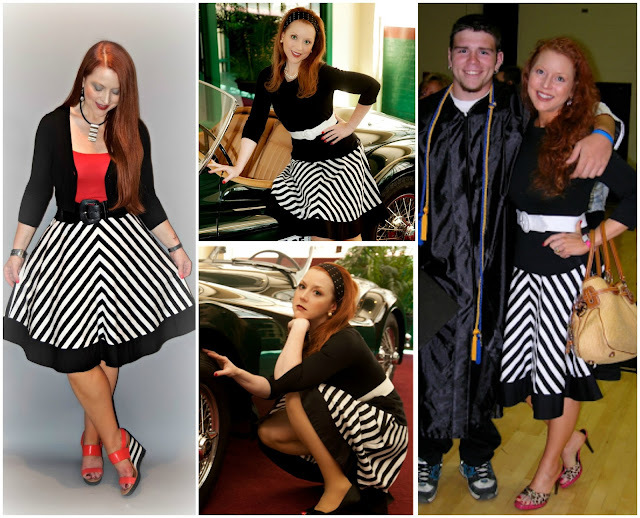 Like the Derby and the Indy 500, classic black and white never go out of style! 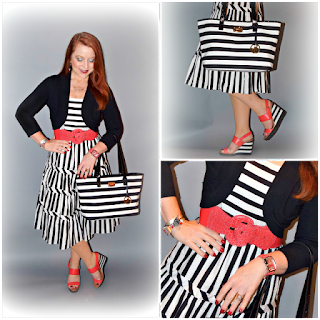 Truly, this chevron stripe skirt is one of my "most worn" wardrobe pieces: last Summer I paired it with bright coral (far left); in 2011, I went all black and white (center); in 2009, I paired it with leopard print for a bit of unexpected pattern mixing. I'm also linked up with Hat Attack this month! I LOVE your blog! 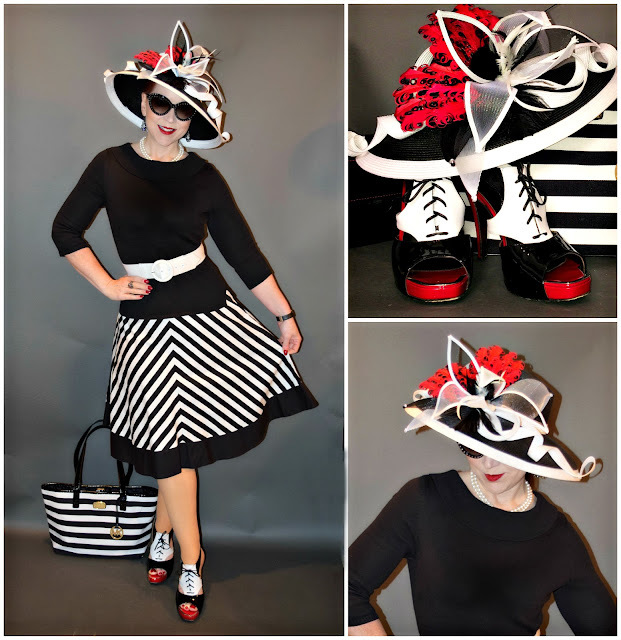 Love your "Style is what you do with it" and that, in a world of "Must have new for every occasion" you fabulously wear favourite clothes using different accessories to, in effect, create a new outfit.